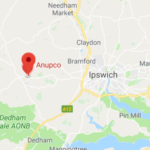 Anupco was founded in the UK in 1976 with the aim of manufacturing and providing high quality animal healthcare products for both the commercial and private sectors all over the world. We specialise in manufacturing products to improve and maintain the health, performance and welfare of farm livestock and companion animals. In the UK our distribution strategy is to bring to market the right companion and livestock animal medicines, often products that stand out from overcrowded ranges. Our focus is also on the re-introduction through special import licenses of products that have become unavailable by lack of substance of production stoppage in the UK. This is our way of creating value for veterinarians who can themselves turn around and provide their customers and their animals with effective health solutions. Today Anupco products are used in over 50 countries worldwide. To ensure our continuing customer and distributor satisfaction we continuously check quality and produce all our products to stringent criteria. This not only ensures consistency and performance, but also maintains our leading expertise on the raw materials, production and packing we use.